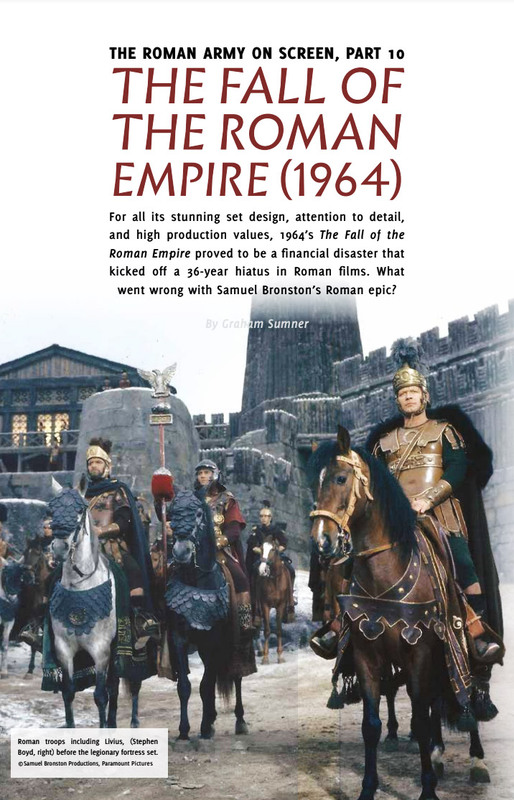 ANCIENT HISTORY magazine published an article on THE FALL OF THE ROMAN EMPIRE. Graham Sumner, the writer of the article, provided it to me after last week's profile I made on the film. I asked him if I could feature the first page of the article. Here it is, as an addendum of sorts. Very interesting article. Producer Samson Bronston filed for bankruptcy after the failure of the epic film. After Fall of the Roman Empire, Samuel Bronston made only one more movie, Circus World, which also flopped. El Cid, 55 Days at Peking, and Fall of the Roman Empire.